Investors, consumers, and workers look for companies to adopt safe, healthy and environmentally-conscious cultures. Many Europeans and American millennials are surprised to learn that historically in the US, employers have not always prioritized occupational health and safety. According to the National Safety Council (NSC) in 1912, as many as 21,000 American employees died due to job-related hazards. In 2018, members of the American workforce are enjoying a favorable uptick in initiatives focused around the Health, Safety and Environment space (HSE/EHS). Investors, consumers and employees alike can identify shifts around EHS initiatives and corporate transparency that benefit all parties involved. Equally, as companies move to bring outdated HSE procedure current, they are also empowered to cultivate positive sentiment and improved reception of their brand—ultimately, positively impacting the bottom line. The Occupational Safety and Health Administration (OSHA), a division of the U.S. Department of Labor, explains that employees work harder when they are properly compensated, and their safety is made an established priority. The University of Warwick found that productivity shot up by 12% when workers were pleased with their working environment. Given the recent shift toward caring and transparent cultures within the workplace, companies look to the bottom line for return on investment. IZA World of Labor reports that happy workers, those content with their surroundings, make the company more money. OSHA research indicates that for every dollar companies invest in an EHS program, employers can save up to six dollars. Every dollar spent is multiplied and returned. As well, a reputation for maintaining a healthy, safe environment aids recruiters in attracting top talent who ultimately drive company profit. A study published in Accident Analysis & Prevention focusing on the perceived costs of effectively implementing safety guidelines by senior-level executives found that a majority believed that the immediate costs of comprehensive safety programs would be significantly lower than the alternative. The executives in the majority also regarded their companies as safer due to the amount of attention and funds directed at efficient safety training. Companies are better served with a business model that anticipates risk, is based on regulatory research, and has safety ingrained into its DNA. The National Institute of Occupational Safety and Health (NIOSH) published a report in June 2017 about their surveillance program, which helps regulate and reduce on-the-job injuries. Unite general health surveillance with occupational safety. Regulatory agencies like NIOSH exist due to past blatant disregard for human safety within organizations. In short: Recklessness regarding employee health is expensive. OSHA estimates that employers spend as much as $1 billion per week on direct costs related to worker’s compensation. Decision makers realize this and want to mitigate risks to cushion their bottom line. Companies’ awareness of the importance of safety training is one thing, but earning the trust and attention of employees is another. Once companies earn employees’ attention, however, the onus is on the company to provide safety training that resonates with the workforce. A recent Gallup poll on The State of the American Workplace, found that only 33% of U.S. workers are engaged at work—meaning, they give their undivided attention to the task at hand. The same Gallup poll reports that larger corporations, those with 1,000+ employees, exemplify the highest rates of disengagement. Participation must be present as a top-down initiative that involves everyone, from CEO to entry-level staff. Management must articulate the importance of HSE policies, as the first step to boosting commitment in the workplace. Corporations are increasingly held accountable for perpetuating safety, as well as having a strong social conscience. Companies that neglect their duty to the environment and community, will face inevitable public backlash. In 2017, 85% of S&P 500 companies released a sustainability report, according to the Governance and Accountability Institute. The comprehensiveness of the reports varies per company. Corporations that stress environmentally-conscious practices within their core values exemplify them in their reports. Others companies publish reports in an attempt to keep up appearances, as it is clear that research institutes and the public are keeping score. A socially conscious company’s investment portfolio includes Environmental Social and Governance (ESG) criteria, indicating that they take sustainability seriously. Corporations can not afford to be in the non-reporting minority. In 2011 only 20% of companies released a report—a fraction of those released in 2017. 21st-century shareholders, consumers, and employees are holding companies accountable for their impact by demanding that companies evolve. Companies that recognize and restrict the toll they take on the surrounding society, as well as on their employee’s physical and mental well-being, demonstrate a socially conscious attitude. 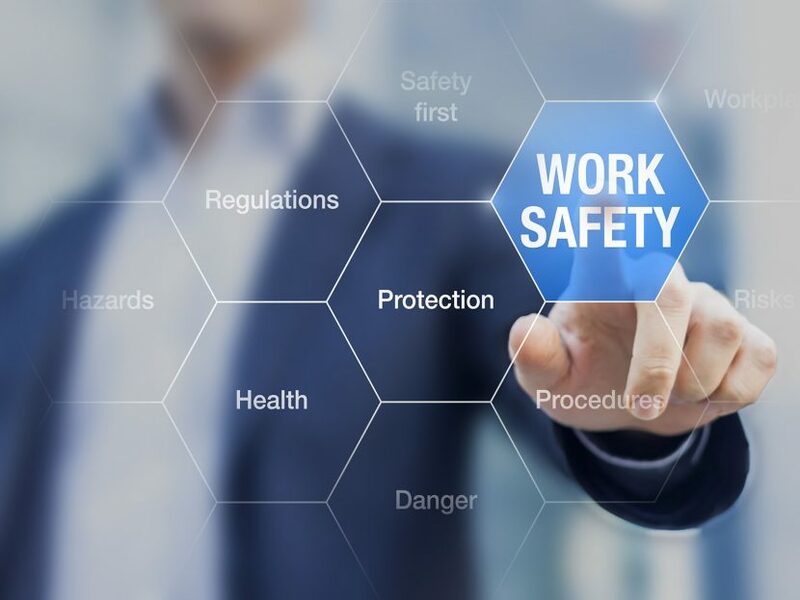 It seems obvious that avoiding bodily injury needs to be a forefront priority, yet according to the Bureau of Labor Statistics, it so happens that almost 5,200 people lost their lives at work in 2016. Prime problem solving, within safety challenges, comes from merging big data and internal ideas. No two workplaces are identical. Listen to workers’ concerns and their ideas for bettering their working conditions. Particularly, the oil and gas industry sees a large volume of hand injuries every year. At Talos Energy, they saw a need to implement a solution which would protect their workers from suffering hand wounds. Cestus, which produces armed gloves, went on-site to Talos Energy. Cestus provided a tailor-made solution for the workers at Talos after connecting at a GDS Summit. A 2017 Business in the Community (BITC) report states that as many as 60% of workers have faced a mental health obstacle due to their job. BITC research also outlines that as many as 31% of the workforce has been previously diagnosed with a mental illness. Without a structured company-wide policy, they are telling employees that emotional well-being is not a priority. BITC also reports, only 13% of workers felt they could disclose to their superiors that they were struggling with their mental health. These are not the on-goings of a safe working environment: humans are not machines. Companies can continue to comply with the law while instituting debilitating work procedures in their business models, but at what cost? Companies must decide whether they actually care about their workers. If they do, they must begin listening, and they cannot ignore policies that have potentially dire effects on their employee’s mental or physical health. Employers willing to go to great lengths for their workers epitomize what it means to be a company that cares. Long gone are the days of blindly growing wealth while stepping on the necks of the worker. In the past companies got a pass under the pretense of Laissez-Faire economics—that is no longer the case. A company will be judged on whether they successfully consider health and safety, and environmental factors within their core values. The modern, forward-thinking company’s ongoings are not bleak or miserable. They are people-centric and most importantly: safe.